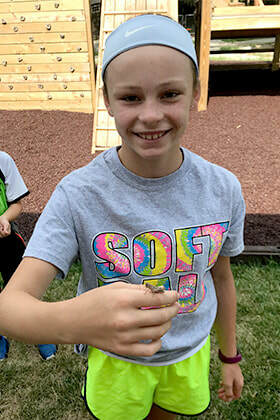 Hope Lutheran seeks to serve our community by providing high-quality child care and education and the good news of Jesus for children zero to sixth grade. You do not have to be a member of our church to enroll your children. Everyone is welcome! We take the privilege and responsibility of guiding, educating, and loving the children in our care seriously. We offer far more than just day care or babysitting. We have been accredited by the National Accreditation of the Education of Young Children (NAEYC) and use a research-based curriculum called HighScope that promotes and encourages growth in all areas of development for all ages. 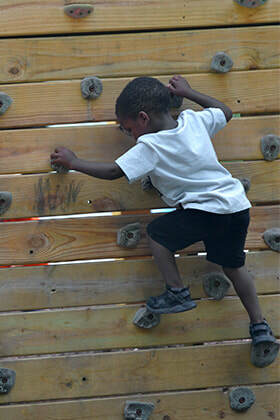 Our curriculum centers around how children learn best--through play and active participatory learning. Active learning is supported by adult/child interactions, the learning environment, the daily routine, and assessments. With this philosophy of active learning in mind and within our structured day we have created indoor and outdoor environments for children to explore and learn by doing! We see ourselves as partners of the parents and families to help their children grow and develop. Whether you are a member of our church, of another faith, or do not have a church home, we welcome your family to our Early Learning Center. Our facility includes nine spacious classrooms, each with its own bathroom, and five natural outdoor play areas where children can explore and discover the world around them. Each outdoor play area is designed for a specific age group: infants, one-year-olds, two-year-olds, preschoolers, and school-age children. Additional features include a dedicated activity space inside which can be used for physical activities during inclement weather, as well as a kitchen with our own cook who prepares nutritious meals and snacks from scratch. We are happy to answer any questions and can provide tours of our facility upon request. Contact us for more information! My husband and I have been very impressed with the program and facilities. Sarah, Lisa, and Clare have also been amazing and we know Adam has learned a lot and grown a lot during his time there thanks to them. Our experience has been so positive that we will not hesitate to enroll our daughter in your preschool when she is old enough. I’m so grateful to you, your staff, and the church for offering this fantastic opportunity for our son to begin his education. It has been a wonderful experience for our entire family. We wish the Center continued success for years to come! We have been extremely pleased with the teachings and attention that our son has received at Hope Lutheran. We have been blessed with gifted teachers who have a natural heart for children and come along side parents to help teach and raise them how we would like. Our son has been stimulated and taught through play and sensory techniques that allow him to explore new and exciting concepts in a way that allows him to still be a child and yet, grow into a respectful and understanding youth. It is important to us that he be surrounded by a faith based community that can implement and help expand his knowledge on God’s teaching at school, as well as at home. We are grateful for the experience we’ve had with Hope and made special arrangements so that we could make sure that our next child on the way will be able to go to Hope as well. We chose Hope for two primary reasons: 1) It is located close to our house, and 2) We wanted our boys to have a Christ-centered education, even at very young ages. The staff are so friendly and caring. We know that they legitimately want the best for our boys, and we have the utmost confidence in them, that they will give our boys the best care possible for that very reason. My boys are learning and developing so much because of all of hard work being done by the staff at Hope! Both of my boys have made good friends at Hope. They are always eager to spend time with their friends while there. They really enjoy the opportunity to participate in special days, too (e.g., pajama day, Wild West Day). Our daughter started at Hope East when she was 8 weeks old and left at just over a year when we moved away. 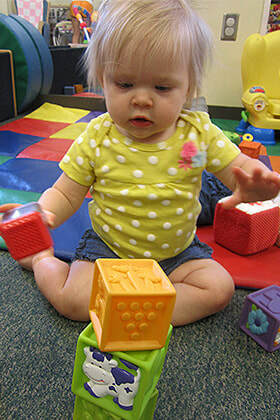 She loved going to daycare where she got lots of enrichment, encouragement, and hugs and we loved knowing she was in a clean and safe environment with staff that genuinely love and get to know each individual child. We definitely loved how open the communication channels between staff and parents was as well. All of the staff at Hope were so warm, always making sure to say hi to us when we came in/left, they knew the name of our child even though she not in their classrooms, they were always smiling, and we really appreciated that the director, Kristi, made time each week to go to each classroom and spend time singing songs and telling Bible stories with the kids and getting to know them herself. We got really lucky with Hope being our first daycare, I’m not sure we’ll find another daycare as awesome!